Content sliders are typically used on landing pages with long narrow images. 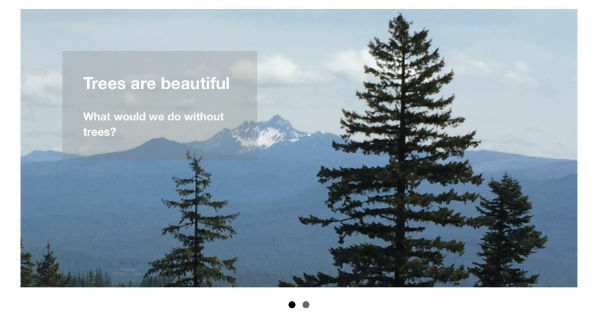 The content slider module offers a larger number of options for styling and content. Here are some examples. In each slider, you can choose a photo, video, or color background. You can add a heading, text, and a button and display them overlaid on the photo video, or color background, or side by side with the photo or video. You can automate and adjust the playback or add navigation buttons so users can cycle through themselves. Here's an example of a background photo, with heading and text on a color background with partial opacity. 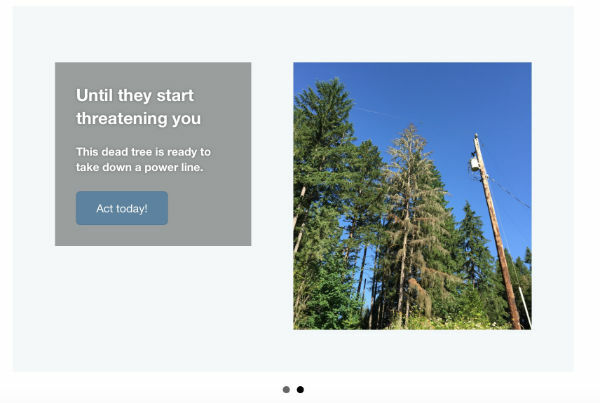 Here's another example where the photo and text are placed side by side, with a call to action button.